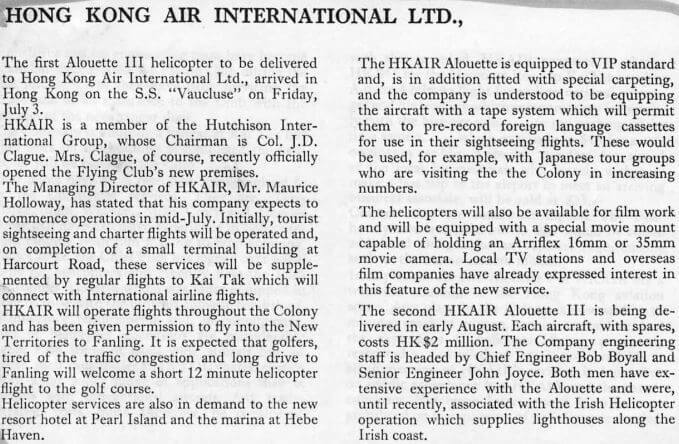 1974 HK Flying Club magazine. The Hong Kong Flying Club was formed in the late 1920s when the Governor, Sir Cecil Clementi, presided over the inaugural meeting on 20 December 1929. The Hong Kong Aviation Club was established in 1982 upon the amalgamation of the Hong Kong Flying Club, the Aero Club of Hong Kong and the Far East Flying & Technical School. 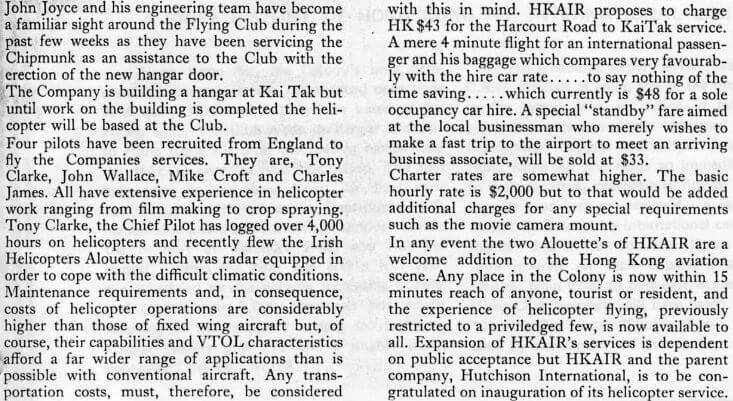 This article about HKAIR was published in the HK Flying Club’s Magazine in June/July 1970. Many thanks to IDJ for sending it to the Group. This article was first posted on 17th June 2017.